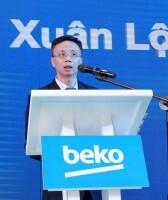 The Vietnam Oil and Gas Group (PVN) returned to the first place in the Profit500 Ranking, a survey on the 500 most profitable companies in Vietnam in 2018. The survey was announced this week by the Vietnam Report in collaboration with VietnamNet online newspaper. The ranking aimed to honour enterprises that are profitable, have potential to become key pillars of the Vietnamese economy and contribute to the introduction of Vietnamese brands to the international business community. The military-run telecom group Viettel, Samsung, Honda, PV Gas, the Vietnam Dairy Products Company (Vinamilk), Vietcombank, Hoa Phat Group, Viettinbank and Vingroup also made into the Top 10. According to the survey, the average pre-tax profit of the top 500 most profitable companies in 2017 grew more than 65 percent from 2016. The sectors with the highest return on asset (ROA) and return on equity (REO) were telecommunications, information technology, pharmaceuticals, healthcare, transportation, food, beverages and cigarettes. The survey said most business insiders expect technology to remain the leader in attracting investment. Technology was the most common answer among enterprises (51.4 percent of respondents), construction and real estate (40 percent) and retail (34.3 percent). In the Profit500 Ranking, the companies with the highest average pre-tax profits are in telecommunications, information and technology. The enterprises have potential to show stable growth profit indicators. While the world is moving towards the Fourth Industrial Revolution, the application of technology in Vietnamese businesses is still in its early stages due to lack of capital, infrastructure and a skilled workforce. Businesses expect the Fourth Industrial Revolution to help cut their costs, optimise efficiency and increase market share. In the 2018 Profit500, the number of firms in construction, building materials, real estate (14.8 percent), electricity (12.8 percent), finance (11.2 percent), and food, beverages and cigarettes (10.4 percent) accounted for a majority of businesses on the list. 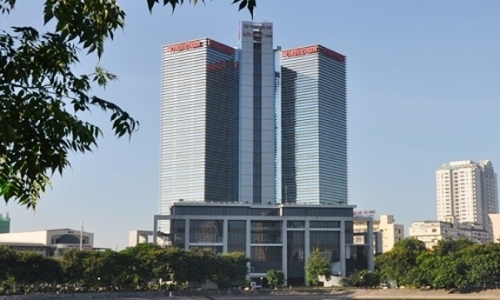 The award ceremony for the ranking will be held on November 29 at the Vietnam National Convention Center.